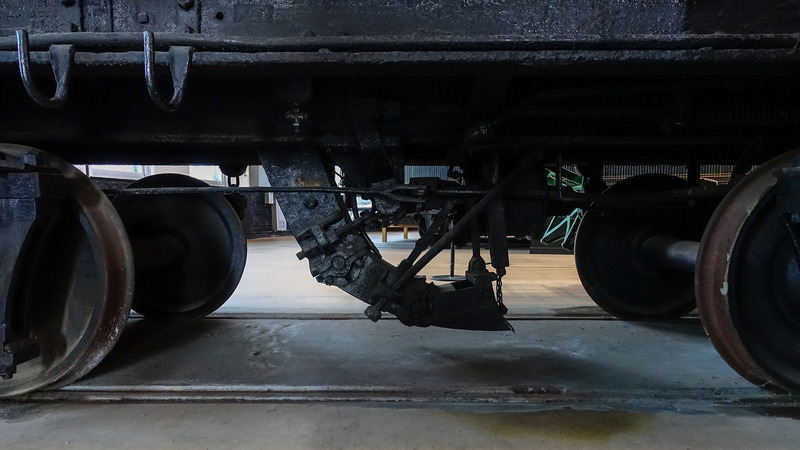 I like to look at things in museums and galleries and figure them out for myself, but was eventually spoiled by one of the B&O Railroad Museum attendants who informed me that the scooper was used for picking up water while the car was moving – without having to stop. I saw that scooper nearly two years ago, and still think about it from time to time, as both an engineering marvel and something lost to history. “The second Empire State Express, behind a 4-4-2 Atlantic locomotive, demonstrates how to take water on the fly by scooping it out of a pan set between the railroad tracks”–George Kleine Collection…catalog, p. 35.